Russell the sheep is determined to find the Lost Treasure of Frogsbottom. 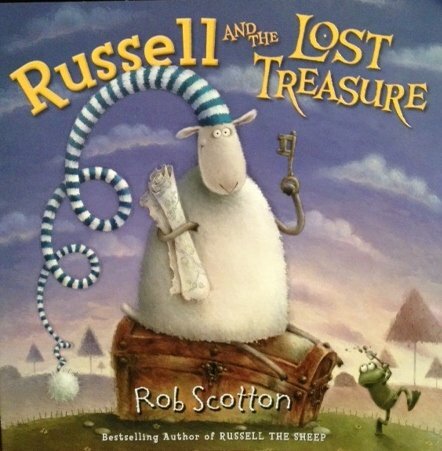 Equipped with his Super-Duper Treasure Seeker, Russell searches high and low, up and down, and in and out. Finally, Russell finds an old chest! Could it be? 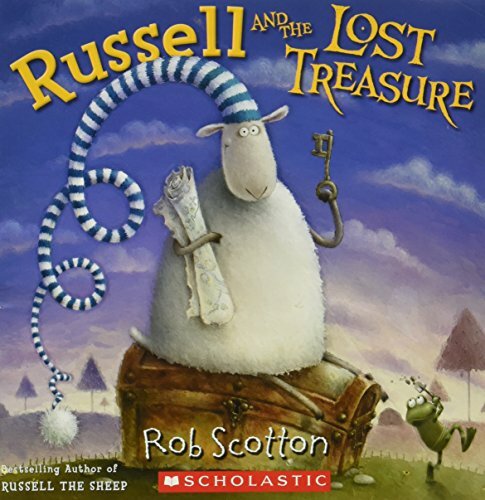 Discover how Russell finds the most valuable treasure of all. 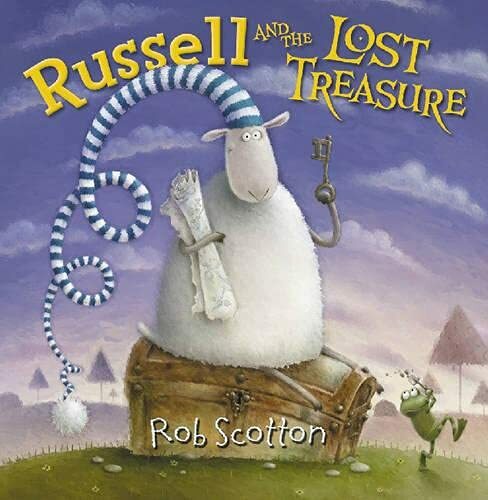 Rob Scotton is the bestselling author and illustrator of Russell the Sheep; Russell and the Lost Treasure; Russell's Christmas Magic; Splat the Cat; Love, Splat; Merry Christmas, Splat; Scaredy-Cat, Splat! ; Splish, Splash, Splat! ; and Secret Agent Splat! His work can also be found on greeting cards, ceramics, textiles, prints, stationery, and glassware. 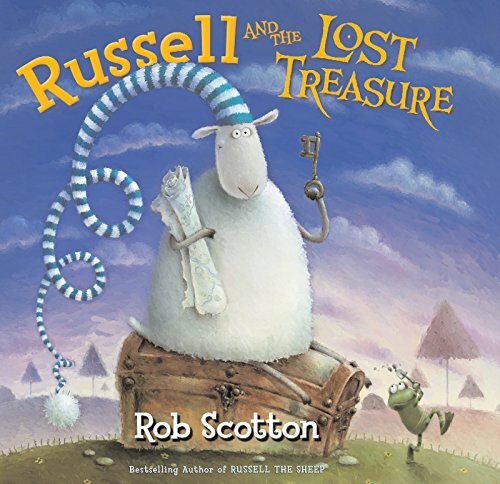 An honors graduate of Leicester Polytechnic, Rob now lives in Rutland, England, with his wife, Liz, who is also an artist.